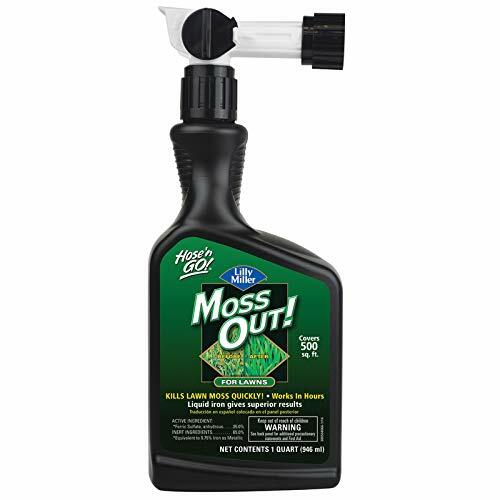 Hose 'n Go Moss Out! For Lawns is the fast, easy way to kill moss in lawns. Once moss is gone, the grass is free to grow and thrive. This easy-to-use container attaches right to your garden hose, so there is no mixing! The moss in your lawn will turn black and die within hours. The grass will gradually fill in thin and bare spots. You can help it along by adding Lilly Miller Ultragreen or Super Sweet lime, that's right for your yard. If you have any questions about this product by Lilly Miller, contact us by completing and submitting the form below. If you are looking for a specif part number, please include it with your message.